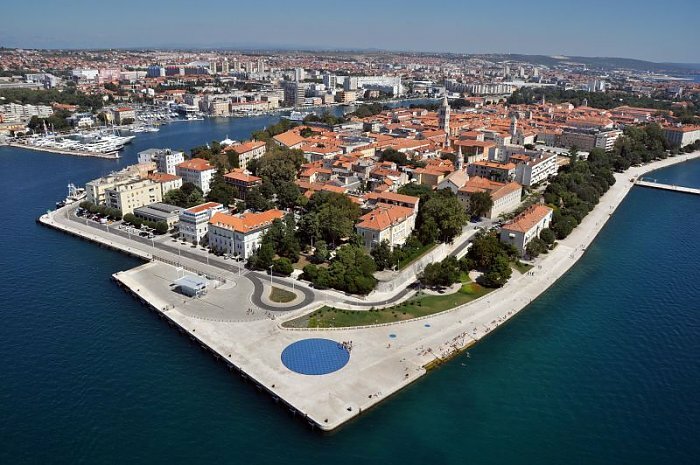 The Sea organ, or the Croatian calls it Morske orgulje, is an concrete construction built in 2005 by architect Nikola Bašić in Zadar, Croatia. The 70 meter long and 35 meter wide concrete structure act as a giant harmonica that draws air from the power from the sea waves (see diagram below). The random harmonic music comes out from the marble steps on top where visitors can listen and enjoy. The structure is simple, elegant and meaningful to remind us the importance of the nature. 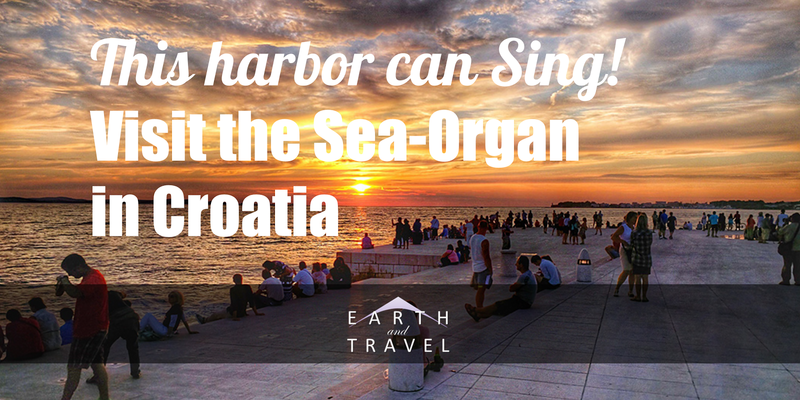 In addition to the music from nature, visitors are also in for a great spot to watch the sunset as the shore offer one of the best views to the sea in the city. After sunset, the show is not done yet. Not far away, they have also built a solar panel that store energy from the sun during the day and uses the power to display a light show at night. Visitors can enjoy themselves with disco dancing on the solar panel! Watch the video and enjoy the show.